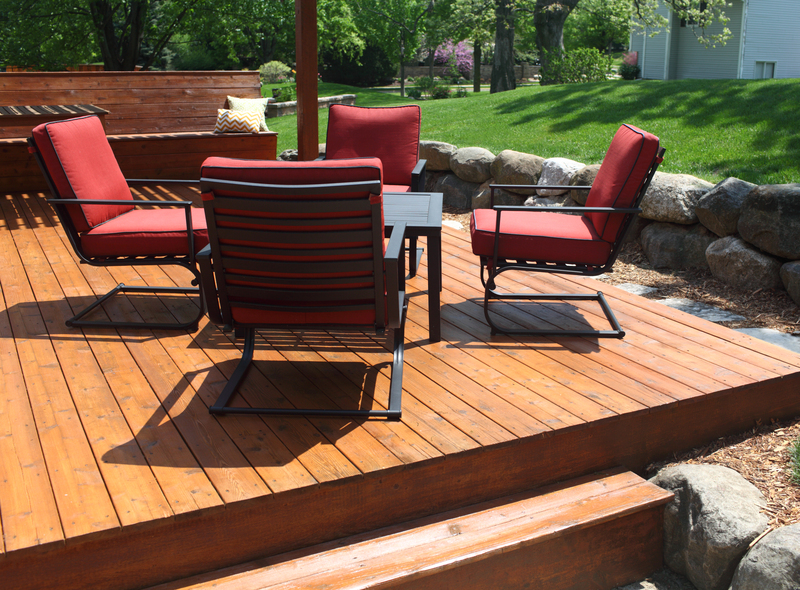 If your Coralville home has a deck, then you've experienced the additional responsibility of owning a deck. If your deck is looking rough, a painting contractor that specializes in deck restoration can come to your rescue. The first step to restoring your deck to its former condition is identifying signs of damage, so knowing what to look for is crucial. Check Your Deck For . . .
Wood Rot – Rotting deck boards aren't a pretty sight, and they indicate a structural weakening of your deck. Wood rot often results from excess moisture, so protecting your deck from water is essential. When checking for wood rot, don't forget to examine the deck's stairs and handrails. A deck afflicted by wood rot will require repairs and resealing. Fading – Faded decking results from an exposure to sunlight and an accumulation of dirt and debris. You can clean your deck and use a wood brightener to remove discoloration, but if you still haven't restored your deck to its original color, you can hire a painting and deck restoration company to repaint or restain the deck. Gaps Between Boards – Your wood deck may shrink as it ages, forming gaps between the deck boards. If gaps develop between your wood deck boards, you'll need to remove and replace the shrunken boards. Water Damage – Sealing your deck is a good idea but resealing your deck every time you notice considerable wear and tear is even better. Typically, deck sealing doesn't last forever, and if it begins to wear off, your deck becomes vulnerable to moisture. Test your deck by spraying water on it. If the water beads up, then the deck's seal is still intact. Keeping water from absorbing into your deck will prevent problems such as mold and mildew, cracking, and missing nails and screws. Your painting and deck restoration contractor can apply a deck sealer to your deck if it has been damaged by water. Structural Instability – If you notice wood rot and water damage, you shouldn't concern yourself with resolving only those problems. You'll need to assess the overall condition of your deck and determine if structural repair is required. If the structural components beneath the deck aren't secure, your deck is not safe to use until an experienced deck reconstruction professional performs the appropriate repairs. Proper maintenance and regular inspections are the best ways to prevent the need for a complete deck restoration, but if you spot any of the problems mentioned, you should hire a trusted painting and deck restoration company like Mike Wolfe Painting, Inc. to repair your Coralville deck as soon as possible.